Montreal (Quebec), February 9 2017— Group Germain Hotels is pleased to partner with Lexus Canada in order to offer a new courtesy car service to its clientele. 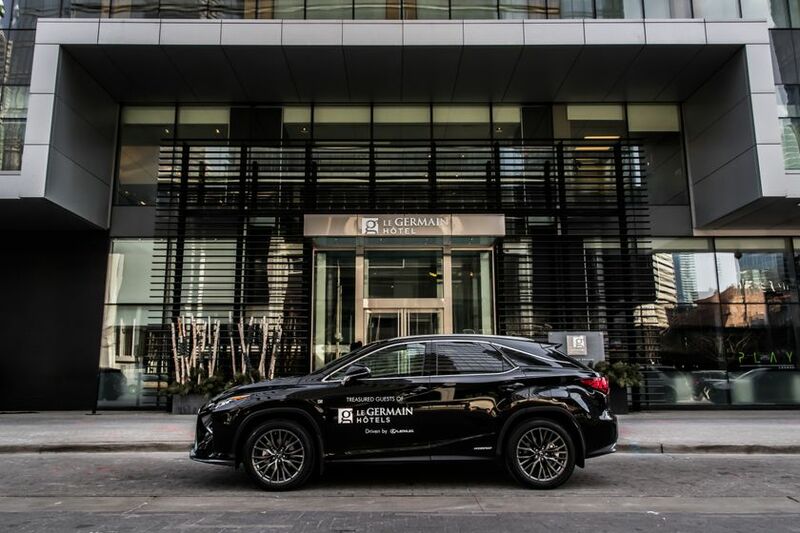 Guests staying at Le Germain Hotels across Canada can now be driven by the hotel’s chauffeur, or even get behind the wheel of a luxurious Lexus vehicle for a test drive, free of charge! Whether for a business appointment, to run errands or to discover the city’s attractions, guests at Le Germain Hotels in Montreal, Quebec City, Charlevoix, Toronto and Calgary can now travel with style and ease in a hybrid Lexus RX 450h SUV. As the first boutique hotel in Canada, Le Germain believes in the value of staying small and intimate. Whether in Calgary, Toronto, Montreal, Quebec City, Charlevoix or soon Ottawa, we ensure that guests are welcomed warmly and continue to enjoy attentive, personalized service throughout their stay. And it all comes wrapped in an elegance matched only by the timeless appeal of our stylish, carefully designed rooms. Visit us on www.legermainhotels.com or follow us on Instagram : @LeGermainHotels | Twitter : @HotelGermain | Facebook : Hotels Le Germain. Group Germain Hotels is a family-run business that owns and operates Le Germain Hotels and Alt Hotels across Canada. Ranked as one of Canada’s 50 Best Managed companies, Group Germain Hotels is renowned for the impeccable warmth and style that characterizes its hotels. Since opening their very first property in 1988, the 1000 staff members of Group Germain Hotels have welcomed a multitude of guests, totalling nearly 4 million overnight stays to date. Visit www.groupegermain.com. Group Germain Hotels Toyota Canada Inc.